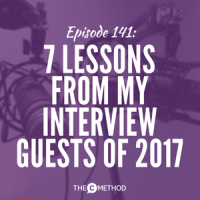 Being the second last podcast for 2017, I thought it appropriate to reflect on the year and bring to you the best bits from some of my favourite interview guests from this year. Mike is a professional speaker and double amputee, who inspires people to be resilient and to ‘amputate’ the dead weight from their lives. After contracting a deadly disease, which lead to him having one leg amputated, 9 years later he made the terrifying decision to amputate his other leg, which had been holding him back from living his life to the fullest. Here, he talks about how after the amputation, when he shifted his focus to all the things he could do, instead of what he couldn’t, he realised how much more he could now accomplish, compared to before. Next up is the remarkable Joshua Spodek, who is an lecturer and authority on leadership, and holds 5 Ivy League degrees, including a PHD in astrophysics. A single sentence can do nowhere near enough justice for what Joshua has accomplished, but just know, he’s a ridiculously talented guy. On the podcast, we talked about what authentic voice is, and why it’s so important, as a strong leader, to be able to speak with authenticity. And here, he describes an exercise that will help you to do this. Let’s move on to our third guest, Sari de la Motte, who is the CEO and founder of FORTE, a communications consulting firm. 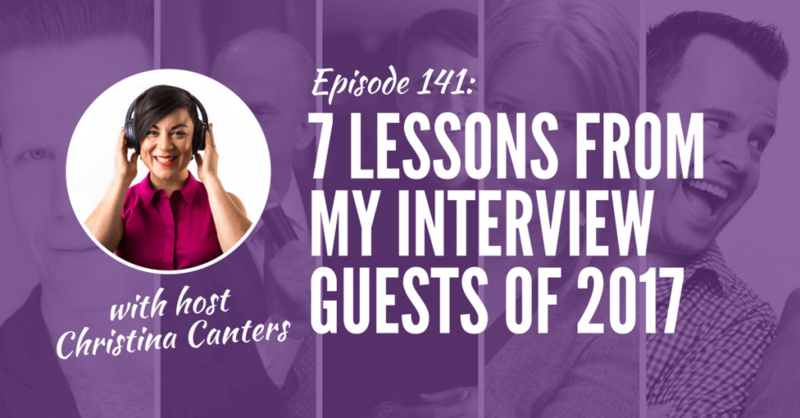 She is an expert in non verbal communication, and here, she shares what it means to be really present in the moment, and why it’s so important. Ironically, it’s a completely different approach to the exercise you just heard from Joshua, where it was all about listening to what’s in your head. This is all about getting OUT of your own head. Ok, let’s move on to speaking and marketing powerhouse Dustin Mathews, co founder of Speaking Empire. This one’s for those of you who want to master the art of public speaking and really connect with your audience. Here, Dustin shares why top actors and performers can command such high fees, and how we can apply it to our own speaking. Next up is my good friend and brand experience guru Matt Baker from Clear Group, who joined me on the show to talk about fixed mindset, vs. growth mindset, and why if you want to reach your potential and achieve success, you’ve got to be aware of your MIND and whether it’s helping you or holding you back. Next up is the wonderful and inspiring voice coach Emmanuella Grace from Find Your Voice. We talked about how you can improve your voice in order to have more influence, more credibility and more impact when you speak. Here, she shares what we can do to start exploring the range of our voice in order to eventually make a strong and impactful sound when we need it. The final featured guest for this episode, whose name needs no shortening, is professional keynote speaker and former world champion of public speaking Mark Hunter. Mark has a wonderfully introspective take on how to impact an audience, and here he explains why he’s not comfortable with the ‘tell agenda’ or the traditional ‘motivational’ agenda of most speakers. I also love his message: It’s ok to be ordinary. I think often times we get very caught up in this need to be more, do more, have more, and achieve more. Which can get really exhausting! I know I’ve fallen into this trap many times, and it leads to you never feeling like you’re successful, because you’re constantly striving for the next thing. I’ve discovered it helps to practice gratitude and mindfulness to bring you intro the present moment and be happy about where you’re at, right now, in this moment. I hope you’ve enjoyed this episode, and that you have a fabulous Christmas!